Love Dale Central School established in 2003, functioned from a few tents pitched on the ground cleared from the onslaught of brambles. Today, spread over an area of about 4 acres of lush green lawns, in Belgaum city, Love Dale Central School is a co-educational school. 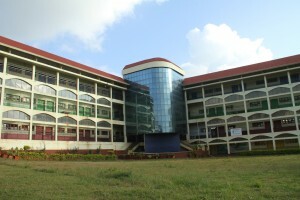 The foundation stone of the school building was laid in 2002 by Late Mrs. Geeta Bhute, the then principal of the school. The impressive school building today comprises workshops, laboratories, a computer centre, audio-visual lecture rooms, libraries, swimming pools, clinic, a book shop, and school canteen. The school functions under a registered society with eminent educationists, social workers and medical specialists. Mr. Raj Ghatge, is at the helm of affairs of Dr. B.R. Ambedkar Society as Chairman. Their selfless work along with that of other members needs no testimony. Keeping in view the ideals of democracy and our ancient culture, Love Dale Central School strives to provide a system of education most suited to the needs of our society today. Stress on diverse methods of teaching for different categories of students, opportunities for shouldering responsibilities in school life, constant participation in games and sports, a wide range of cultural and co-curricular activities lend meaning to our school life. Thus, the end product is the harmonious, all round developed personality of our students poised on the threshold of life.